The Sveshnikov Variation of the Sicilian 1.e4 c5 2.Nf3 Nc6 3. d4 cxd4 4.Nxd4 Nf6 5.Nc3 e5 also known as Lasker-Pelikan or Cheliabinsk Variation is one of the most popular and fascinating replies to 1.e4. Right from the beginning, Black is striving for active and dynamic counterplay, and this results in a double-edge struggle for the initiative. In the 1970s it was Yevgeny Sveshnikov who pioneered and worked out the system. Today, it is firmly in the repertoire of many outstanding players such as Kramnik, Lautier, Radjabov and Leko. Top Dutch grandmaster and six-time national champion Loek van Wely has himself played the Sveshnikov since 1998. 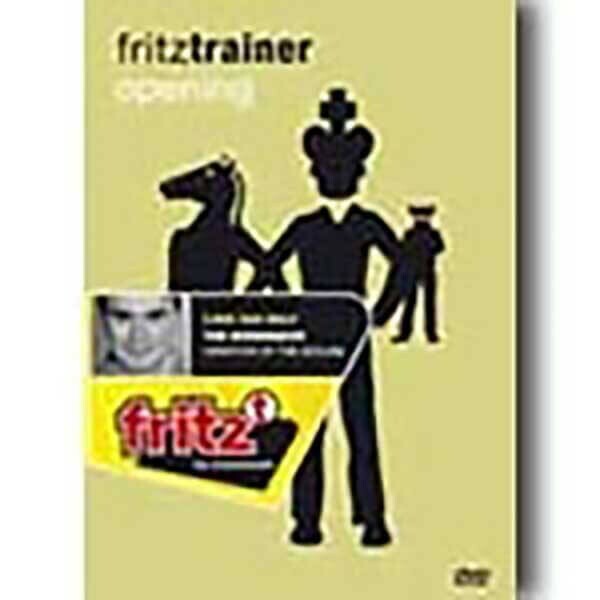 On this DVD, he comments on his latest encounters with world-class players such as Shirov, Anand, Topalov and Kramnik. Nearly all the games are from the period 2003-2006. As one would expect in the Sveshnikov, the games abound with combinatorial ideas and sacrifices; a feast for all fans of tactics. Van Wely focuses on the main variations 1.e4 c5 2.Nf3 Nc6 3. d4 cxd4 4.Nxd4 Nf6 5.Nc3 e5 6.Ndb5 d6 7.Bg5 a6 8.Na3 b5 9.Nd5 Be7 10.Bxf6 Bxf6 11.c3 Bg5 12.Nc2 and 1.e4 c5 2.Nf3 Nc6 3. d4 cxd4 4.Nxd4 Nf6 5.Nc3 e5 6.Ndb5 d6 7.Bg5 a6 8.Na3 b5 9.Bxf6 gxf6 10.Nd5 f5. Born in 1972, Loek van Wely learned chess at the age of 4 and was soon recognized as one of the greatest talents ever in the Netherlands. After becoming a grandmaster in 1993, he steadily climbed up the Elo ladder to reach a peak of 2714 and a place among the top ten in the world in 2001. From 2000 to 2005, King Loek won the Dutch national championship six time in a row. His reputation as an uncompromising fighter with a merciless will-to-win make him a most welcome guest in tournaments all over the world. Among van Wely's greatest successes are his triumphs at the Berlin Open in 1991, the World Open in Philadelphia in 1992 and the New York Open in 1995. In 2005, he was the top board of the victorious Dutch team at the European team championship in Gothenburg.